What Drives Millennials In The Workforce? 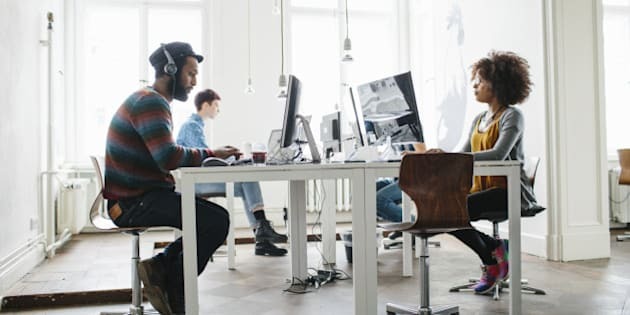 With millennials expected to take over 75 per cent of the workforce by 2025, they bring with them new ideas and principles replacing the workhorse mentality that marked the professional generation before them. One of the biggest motivators for this "experiential generation" is travel. No longer seen as an exclusive domain of the C-suite, travel has become a regular fixture in job descriptions and perks catered towards this younger cohort of executives. So what are the priorities for this generation of tech-consumed, highly educated and even higher opinionated go-getters? At Vision Travel, we've narrowed it down to a few key recommendations for using travel as a way to attract, and retain top fresh young talent. While generations before them have approached business travel from a purely utilitarian perspective, millennials see travelling for work as an opportunity to expand their horizons and keep them connected with the global community. As the first generation to grow up with the internet, their world is unencumbered by geographical boundaries, and travelling for work opens up the possibility of learning about new cultures, meeting new people, on top of scoring a new client or contract. Bleisure travel is a rapidly growing trend amongst millennials, who extend their business trips to experience their destination and all it has to offer. Millennials more often than not will seek out positions allowing them to travel. According to PwC's report, 'Millennials at Work: Reshaping the Workplace,' approximately 71 per cent of millennials expect and want to do an overseas assignment during their career. Offering the opportunity to conduct business overseas allows for this demographic to learn new skills and develop a global approach for the company. Global mobility truly is a win-win for everyone. Millennials grew up during a period of time where technology and new media completely transformed the world. These individuals were at the forefront of the conception of social media and app-centric networking as well as technological advances allowing for work to be done remotely. By supplying this demographic with the latest tech devices such as a cutting-edge cell phone or a high-tech laptop, you are opening up the doors beyond the 9-5 standard office. No longer are these employees tethered to their office PCs and cubicles. Working remotely is a trend that has been growing rapidly over the last few years. In some cases, employees are even encouraged to bring in their own device (BYOD) allowing individuals to use their personal mobile devices to access company data, programs and systems. This approach is especially advantageous for those who travel often for business. Millennials are known for being more motivated by experiences than money and there's no better way to experience life than through the essence of travel. Companies are now starting to offer new prospective employees pre-cations. Rather than a monetary sign on bonus, new employees will receive a luxury vacation instead. This type of travel incentive can also be offered as a performance reward. With much success, some companies are now starting to gamify their performance reviews by offering travel-based rewards based on completing certain tasks or hitting performance milestones. This tactic effectively caters to the work hard, play hard generation. Corporate social responsibility (CSR) is something that attracts and appeals to millennials when looking for a job. We launched our not-for-profit Vision Travel Foundation back in 2014 as a way to give back to our community. The Vision Travel Foundation allows us to support various social, educational and charitable activities across Canada. Millennials are known for donating their time when looking to give back. According to the 2015 Millennial Impact Report, Millennials prefer to use their personal skills when giving to charity. Having a CSR program in place gives this demographic a chance to feel good about the work that they're doing for both their employer and their community. Giving employees the opportunity to travel to a location to lend a helping hand not only pleases their inner desire to travel but also makes them feel good about helping the greater good. Some of Vision Travel Foundation's initiatives have included overseas efforts including last year's devastating earthquake that hit Nepal.